This walk takes you along a series of beautiful waterfalls from the village of Pontneddfechan in the Brecon Beacons. It's a splendid walk through lovely woodland gorges with rushing water and interesting rock formations to enjoy. The route generally takes place on well maintained, flat paths though there are couple of slightly awkward spots to negotiate. The walk starts in the parking area in Pontneddfechan and follows footpaths north along the Afon Nedd Fechan before branching off to the left along the Afon Pyrddin to take you to Sgwd Gwladus falls. You then double back to return to the Afon Nedd Fechan and head north east to take you to Scwd Ddwli falls. Shortly after you come to Pont Melin Fach where there is a nice picnic area by the river. There's also another car park here so you could use this as an alternative start point to the walk. 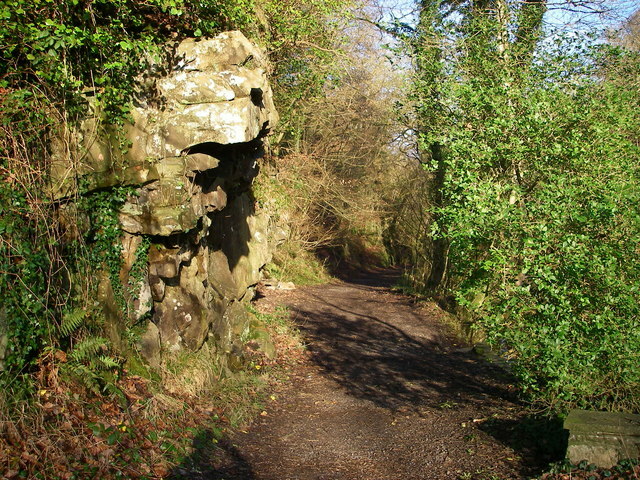 After enjoying a rest at the picnic area the route returns to Pontneddfechan on the same paths. If you wanted to extend the walk you could continue north along the river toward Coed-y-Garreg. Just to the north east you will find the village of Ystradfellte where you can one of the most popular walks in the national park. Known as the Four Waterfalls Walk it includes a number of stunning waterfalls on the Afon Mellte. You can reach the area by following our longer Neath Waterfalls Walk which also starts at Pontneddfechan.